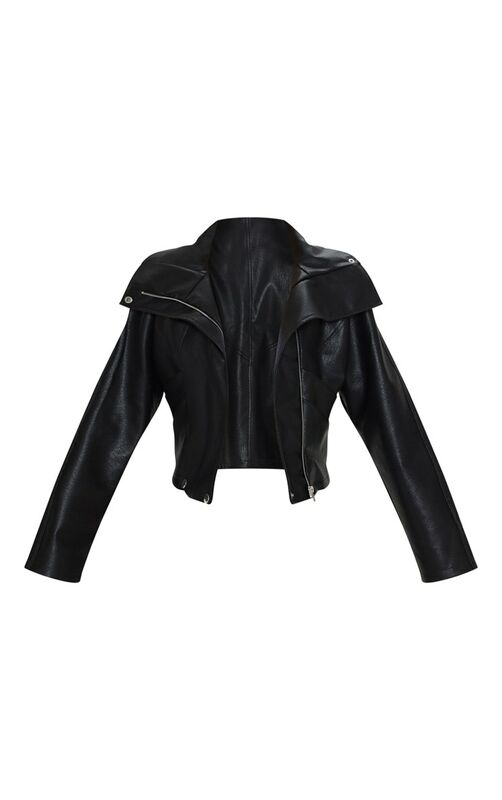 Hit refresh on your wardrobe with this killer bomber jacket. 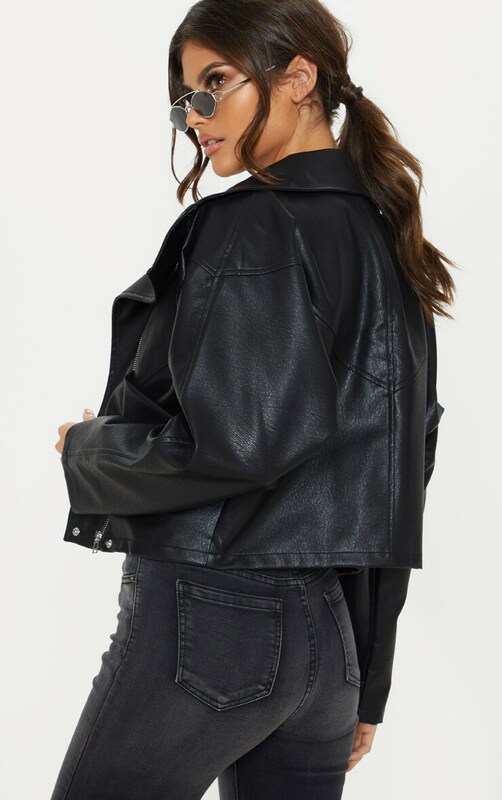 Featuring a black PU fabric with a zip fastening, pocket details and an oversized fit, we are obsessed. Style over a crop top, denim jeans and sock boots for a seriously chic look.